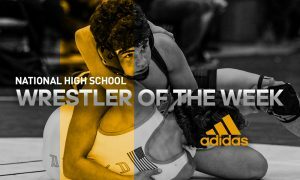 This week’s High School Wrestler of the Week is Kyle Mosher of South Side High in Rockville Centre, New York. 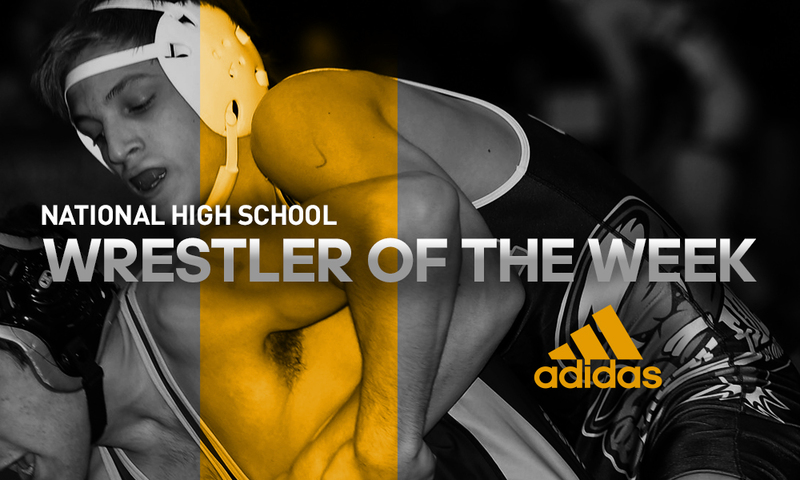 Over the weekend, Mosher went 4-0 at Eastern States to claim the championship at 160 pounds. Even more impressive is that the senior claimed bonus point victories in each of his four matches. In the opening round, Mosher picked up a 15-0 tech fall in just 1:47. 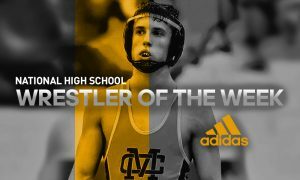 In the quarterfinals, he majored NHSCA champ Cole Rees, 10-2. Mosher added another major decision in the semifinals with a 13-1 victory and capped off the impressive performance with a 29-second fall in the finals. This tournament title comes on the back of an impressive third-place finish earlier in the year at Ironman to move into the top 10 of the rankings. Mosher, who currently sits at No. 8 in the country, is committed to continuing his wrestling career at Columbia University.